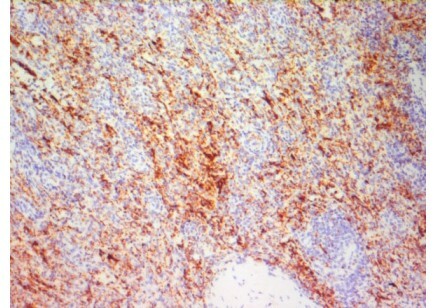 Monoclonal anti-CD61 reacts with human integrin beta 3 (GPIIIa; vitronectin receptor beta chain). 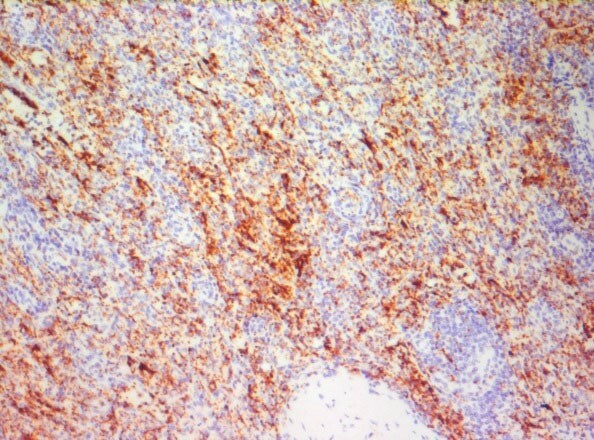 The protein detectable is a complex of CD41 and CD61. The apparent molecular weight of the GPIIIa by SDS-PAGE is 105kDa reduced and 90kDa unreduced. Ligands are fibronectin; fibrinogen; von Willebrand factor; vitronectin and thrombospondin. Residues 237-248 of GPIIIa or CD61 are critical in adhesive protein binding. Integrins are integral cell-surface proteins composed of an alpha chain and a beta chain. A given chain may combine with multiple partners resulting in different integrins. Integrin beta 3 is found along with the alpha IIb chain in platelets. Integrins are known to participate in cell adhesion as well as cell-surface mediated signaling.